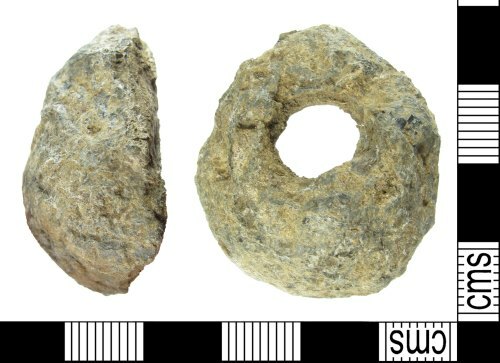 A complete lead spindle whorl or weight, dating from the medieval to post medieval period, 1100-1800 AD. The weight is oval in shape, and irregular. The circular perforation is off centre, and closer to one of the narrow edges. The weight is 32.2mm in length, 29.1mm in width, 11.4mm in height, and weighs 32.50g.